As students start getting more access to 3D printing earlier, what they can accomplish by the time they reach high school is limitless. 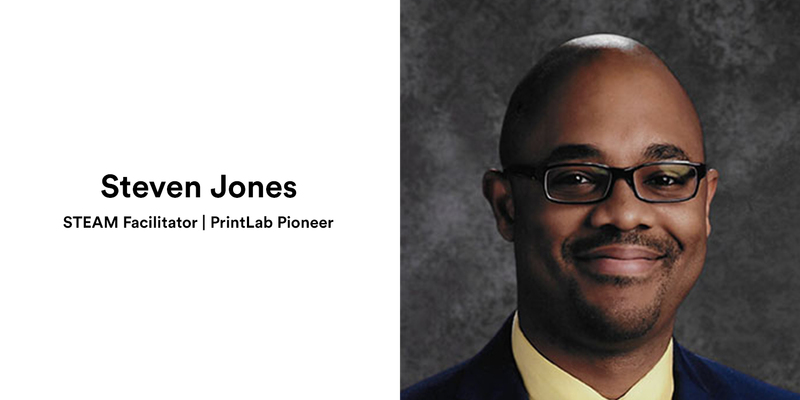 Today we are delighted to introduce you to our newest PrintLab Pioneer - Steven Jones from L.J. Hauser Junior High School in Riverside, IL. Steven uses PrintLab Classroom lesson plans to supplement his existing curriculum and he captured our attention by sharing the amazing work of his students on social media. At this point, we just had to learn more! Therefore we invited Steven to become a pioneer to share his journey with you all. Check out our first blog with Mr Jones, an interview that covers his views and experience with 3D printing in the classroom. Hi Steven, thanks for taking the time to chat to us today! Can you begin by telling us a little about yourself and how you got involved with 3D printing? Sure! I’ve been doing 3D modeling for over 15 years. I worked freelance and spent some of my time teaching young adults how to do 3D modeling, texturing, and rendering. Eventually I moved on to learning character animation and then based on the recommendation of a friend, I decided to give teaching a try by being a substitute for kindergarten through eighth grade. I enjoyed it, so I went back to school and became a teacher full time. While working in Chicago I taught 3D modeling, circuits, and various other skills at the elementary and middle school level while working as an Instructional Technology Specialist. After doing that for five years I accepted a position at L.J. Hauser Junior High in Riverside as a STEAM Facilitator. I had some experience working with 3D printers before, but I never had one in my classroom. All of that started a few years ago and I’ve been involved in a lot of 3D printing ever since! Where does 3D printing fit in to your school and why do you think it’s important to be training young people on 3D design and 3D printing? My focus is 6th through 8th grade and 3D printing and design is a large part of most of the classes I teach. However, 3D printing is not taught in isolation. Introducing students to the engineering design process, design thinking, and a structured critique process has been paramount. I help students learn how to gain empathy for others and use that to drive their method for creating solutions to different problems. Being able to work through a problem, iterate, and develop a solution that meets a specific need is an invaluable experience at any grade. 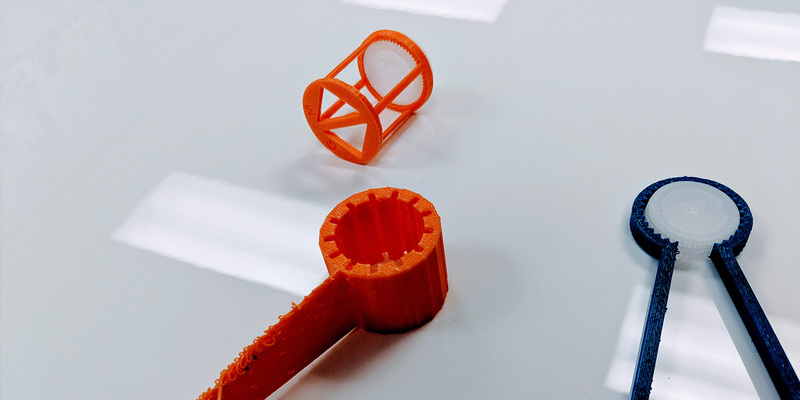 Designing precise 3D models intended for 3D printing helps students develop the ability to persevere. As educators, that is what we want. Students shouldn’t give up when they get challenged. What 3D modeling packages do you use and why did you choose to use them? For many years I primarily used Lightwave, Maya, and Softimage to create polygon models. A lot has changed since I first got started and now I mostly use Autodesk Tinkercad and Fusion 360 since that is what I teach my students. Tinkercad is great because it is really simple to use at its core which translates to a lower learning curve for students. This is especially true when comparing it to Blender, a free polygon-based modeling program I taught in the past. Another positive about Tinkercad is the abundance of resources available for educators to use with their students. Fusion on the other hand is a logical next step for some middle and high school students. 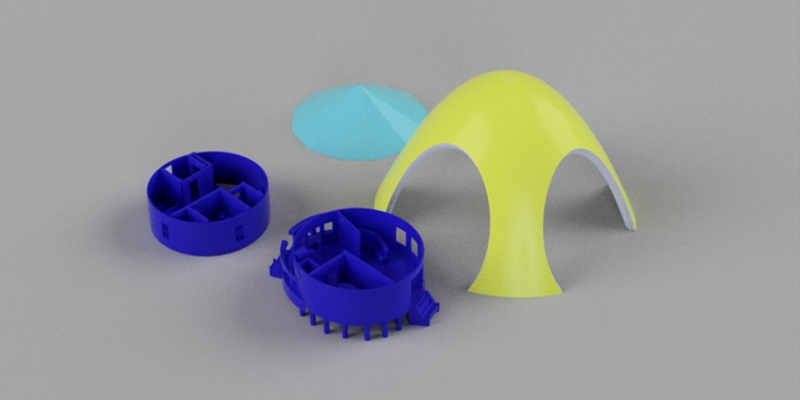 You can use Fusion to create some incredible models, apply surface properties, and render. That is only a small portion of what you can do. It’s been fantastic to see that you’ve been using the PrintLab Classroom curriculum in your school. Can you talk about how it is used and your experience with it so far? I decided this school year that I wanted to supplement the curriculum that I created and have been teaching the last few years. Many of my projects that I teach that involve 3D printing are large in scope. This year I am trying some smaller projects with my 8th graders and I decided to try out what PrintLab had to offer. So far, I’ve adapted a version of the bottle opener lesson and we are currently working on the wrench. The projects that we are doing involving those lessons have gone well and the students are having fun. I really like that the curriculum is already aligned to standards. What has been your favourite project on PrintLab Classroom and why? The bottle opener lesson has been my favorite so far. It really fit well into the theme of developing empathy for others, which is an important aspect of my classes. Students did research on arthritis and other circumstances that would require people to use assistive tools. They came up with a variety of designs to meet the needs of a specific person. 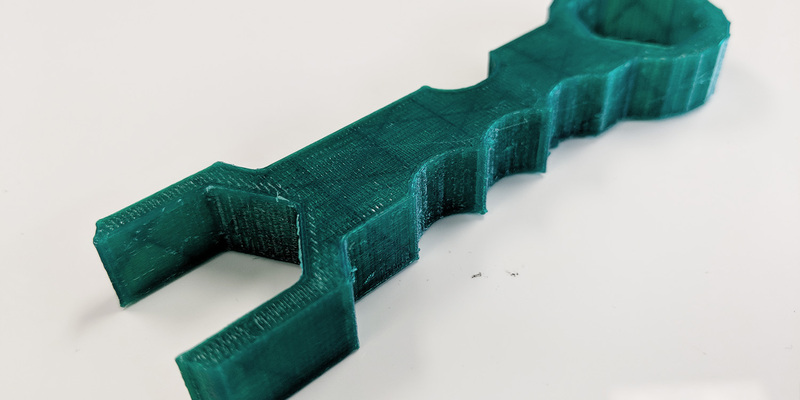 What would you say the key challenges are of 3D printing in education? I think access to 3D printers and the quality of these devices has definitely improved in recent years. Many schools at the elementary and middle school level have started to phase out computer labs and transition to 1 to 1 devices with Chromebooks. 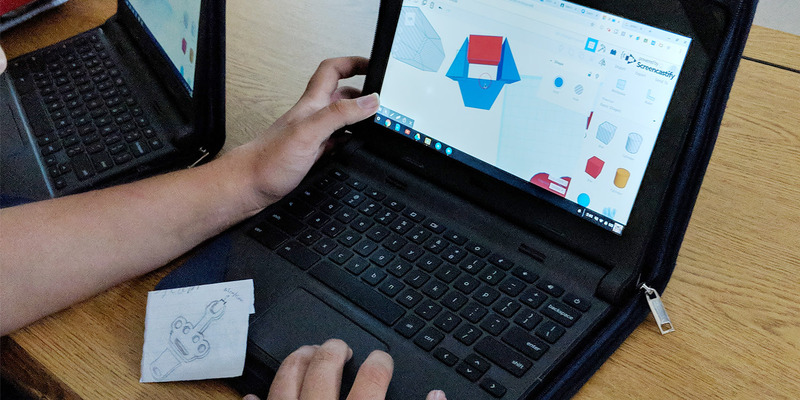 This does limit the type of applications students traditionally have had access to in a Windows or Mac environment, but Tinkercad is cloud based and that is a great introductory tool for CAD. Keeping all of this in mind, I would say the biggest challenge is providing quality professional development for educators. Ideally school leaders would hire someone who could work at each school to provide the necessary supports, but that may not always be feasible due to budgetary concerns or other reasons. In that case, curriculum like PrintLab Classroom is a great resource for those starting out with 3D printing. Once classroom leaders have creative confidence and some technical skill, they can function as excellent facilitators for their students. 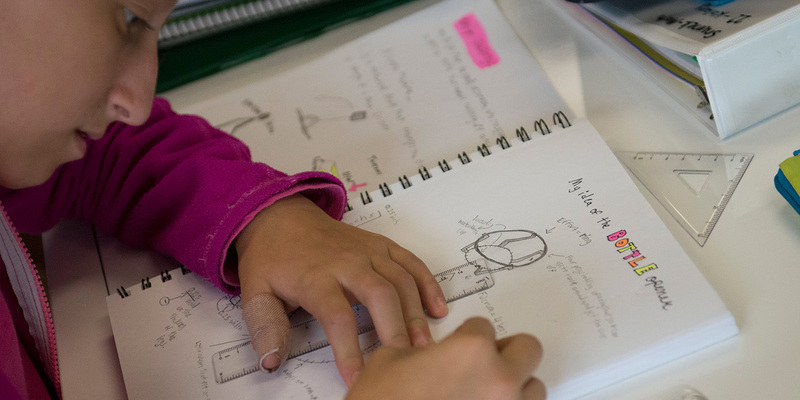 In your opinion, what does the future hold for 3D printing in education? I think the possibilities are endless. As students start getting more access to 3D printing earlier, what they can accomplish by the time they reach high school is limitless. Young people are very capable of becoming inventors now. They have the skills and desire to solve real world problems, they just need reliable tools and the right support. As access and knowledge continue to spread, I think it will drive companies to meet the needs of innovative educators and students everywhere. A big thank you to Steven for taking the time to share his experiences with us! We'll be updating you with more exciting projects from L.J. Hauser this year and be sure to follow Steven on Twitter to keep up-to-date with the fantastic work of his students. If you're looking to learn more about PrintLab Classroom curriculum, click here. We hope you enjoyed this interview with Steven!